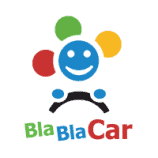 BlaBlaCar is a trusted community marketplace that connects drivers with empty seats to passengers looking for a ride. Over 1 million people use BlaBlaCar every month creating an entirely new, people powered, transport network. With a dedicated customer service, a state of the art web and mobile platform, and a fast-growing community of users, BlaBlaCar is making travel social, money-saving and more efficient for millions of members. It is now available throughout Spain. BlaBlaCar was born one Christmas, when founder Frédéric Mazzella, a student at Stanford, wanted to get home to his family in the French countryside. He had no car. The trains were full. The roads, too, were full of people driving home, alone in their car. It occurred to him that he should try and find one of the drivers going his way and offer to share petrol costs in exchange for use of an empty seat. He thought he could do it online, but no such site existed… The adventure had begun! Fred had imagined a new transport network built on people, that could bring efficiency to road transport, solve congestion problems, make travel affordable and social. With a background in scientific research (he studied physics and later worked at NASA) he saw the full potential of a peer-to-peer transport network, and the huge environmental and economic benefits of enabling a more efficient use of existing resources. Fred put a first site online and the community began to grow organically. He met co-founder and engineer Francis Nappez. Looking to the future, Fred completed an MBA, working on a plan to develop the full potential of car sharing with fellow student Nicolas Brusson, the third co-founder. The trio have built the company into a pan-European community marketplace that connects drivers and passengers.